Jane G. Davis joined the firm as a shareholder in July 2006 and is a member of the Corporate and Financial Services Department. Her practice focuses on corporate and commercial law, mergers and acquisitions, securities regulation and corporate governance. From 1995 to December 2005, Ms. Davis was Vice President, Secretary and General Counsel of York International Corporation, a Fortune 500 and New York Stock Exchange-listed manufacturer of heating, ventilating, air conditioning and refrigeration equipment. Ms. Davis was responsible for all of the company’s legal matters, including numerous acquisitions, divestitures and other business transactions and compliance with corporate governance requirements and securities laws and regulations. Ms. Davis also served as Secretary to the company’s Board of Directors and several Board Committees. From 1987 to 1995, Ms. Davis served as Vice President, General Counsel and Secretary of Joy Technologies Inc. (now Joy Global Corp.), a publicly-held manufacturer of underground coal mining equipment and other industrial products. 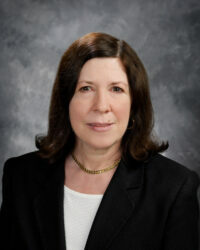 Ms. Davis is a 1978 graduate of the Duquesne University School of Law where she was a member of the Duquesne Law Review and an article editor. She received a B.A. in French from Elmira College and an M.A. in French Language and Literature from the University of Pittsburgh. She is licensed to practice law in Pennsylvania and is a member of a number of professional and civic organizations.